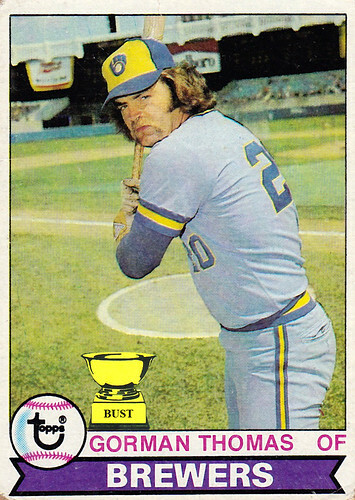 Gorman Thomas was not constantly angry. He just lacked the facial muscles needed to smile. Gorman Thomas was not afraid to show some skin. He was afraid to wear any color except blue, however. Gorman Thomas did not, in fact, know what a "Gorman" was either. Gorman Thomas did not, in his later years, intentionally begin to resemble a St. Bernard dog. But he did wear a barrel of booze around his neck at times. Gorman Thomas' hair was not more impressive than his baseball talent. His ability to eat pickled eggs, however, was legendary.